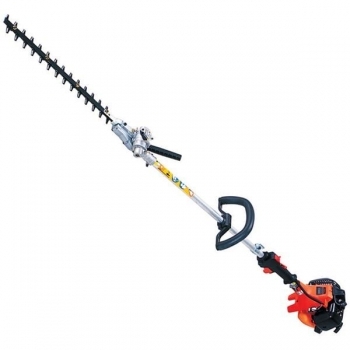 Hitachi Double Sided 550mm blade Pole Hedgetrimmer CH55EPA(S): The Hitachi Double Sided 550mm Pole Hedgetrimmer CH55EPA(S) can function as both a brushcutter and hedgetrimmer. The head can be adjusted to suit all cutting and trimming applications and angles. The pole aids in reaching tops of hedges when trimming. The Hitachi Double Sided 550mm Pole Hedgetrimmer CH55EPA(S) features a double sided 550mm long blade powered by a 21.2cc engine.